Rent apartment by the week for the months of July and August on Liouc. Property 1: Rent apartment by the week for the months of July and August on Liouc. 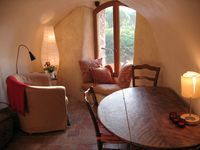 Property 16: ecological raw mud house built on a sloping hill. Magnificent Bastide in a green and tranquil setting. 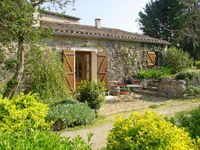 Property 29: Magnificent Bastide in a green and tranquil setting. Spacious and independent 2or 3 bedrm. cottages private garden,great pool, meadow - Old Stable Cottage (2 Bedrooms, Sleeps 4) Own garden. Property 39: Spacious and independent 2or 3 bedrm. cottages private garden,great pool, meadow - Old Stable Cottage (2 Bedrooms, Sleeps 4) Own garden.